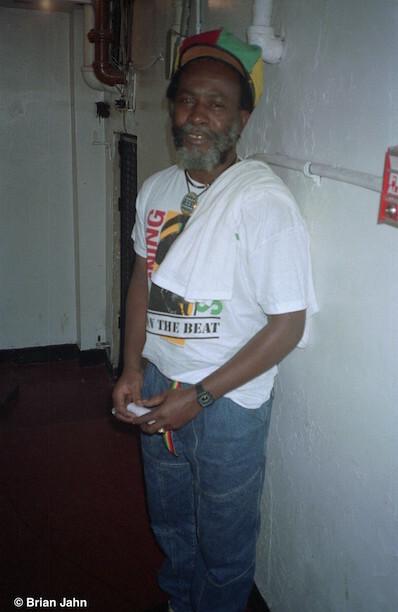 Burning Spear has been one of my favorite reggae performers going way back to the 1970’s. I’ve been lucky enough to photograph & interview him several times and he is a great guy, a regular guy. I remember interview him years ago and he said he was going to retire from touring and concentrate on recording, well lucky for us, he is still touring and has yet to retire. It’s been a few years since I’ve seen a Spear concert, but have recently gone back to listening to the first couple albums, pure roots. This image was shot backstage at Manhattan Center in NYC. Spear was doing a show with the Mystic Revealers, another favorite of mine. The show was awesome as expected (with the Burning Brass) with both bands putting on an excellent performance. Will post some photos of the show later..